Hey everyone, in today’s episode, I share the mic with Sol Orwell, the founder of Examine.com. 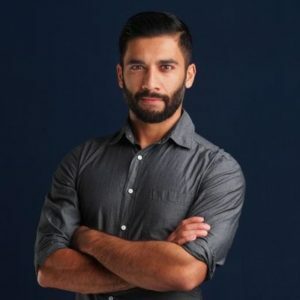 Listen as Sol shares how going from fat to fit led him to create a 7-figure nutrition business, how he built that business off of his Reddit followers, how Examine.com generates 100% of their revenue with just 3 products and why his quest for independence is the guiding principle to how he runs his companies. It’s important to invest in a community—being plugged in jumpstarts your potential for growth. Finding the right people for your team and trusting IN them is crucial for the growth of your business. Doors will open if you focus more on building relationships rather than just thinking of ways you can monetize these connections. ... Fortunately, unfortunately in San Francisco the climate is such that doing a startup is what you should do for your resume, because it's the best way to 10X your learning in a really short period of time. I'm happy that's the way the world works now because I think people have much better opportunities than they did when I was 25. Do you want to impact the world and still turn a profit? Then you're in the right place. Welcome to Growth Everywhere. This is the show where you'll find real conversations with real entrepreneurs. They'll share everything from their biggest struggle to the exact strategies they use on a daily basis, so if you're ready for a value-packed interview, listen on. Here's your host, Eric Siu. Before we jump into today's interview, if you guys could leave a review and a rating and also subscribe as well, that would be a huge help to the podcast. If you actually enjoy the content and you'd like to hear more of it, please support us by leaving us a review, and subscribe to the podcast as well. Thanks so much. All right, everybody. Today we have a guest, he runs a company that's basically one of my favorite tools right now. His name is Olof Mathe and he is one of the co-founders of Mixmax which allows you to send engaging emails with email tracking scheduling, polls, and surveys and God knows what he's been adding, but Olof, how's it going? I'm doing great, Eric, how are you? I am doing well. Thanks for being here. Why don't you just tell us who you are what your story is? Yeah, sure thing. I'm the co-founder and CEO of Mixmax based out here in wonderful San Francisco, actually originally from New York but mainly grew up in Sweden, and studied in France, so I've been about in a bunch of places but excited to be downtown SF now. Tell us a little more about Mixmax. What was the impetus behind starting it? Love that question. The impetus was actually a long, longstanding frustration with how incredibly impoverished our communications are. That's something we all share as co-founders, actually, so if you think about how we communicate, especially how you communicate outside of your immediate team, typically you're just putting ink on digital paper. It's plain text, it's really boring, it's flat, it's not at all expressive, and kind of funny, because today's the day of the Snapchat IPO, and I'm kind of a huge proponent of the richness and communication that Snapchat has given us, and kind of a little bit philosophically similar, what Mixmax does is amplifies what you're able to do in your communication and makes your communications much, much richer and much more expressive. As you mentioned, a couple of things you can do is embed any third-party app or even just embed your calendar directly in a message or embed a video or an animated gif, just to make messages much more like apps or the web itself. That was the original itch that we were trying to scratch with Mixmax. Yeah, and I'll just tell the audience, because I'm a user of the tool ... I've been messing around with the outreach tool, and us as an agency, we have different tools, like outreach.io and things like that, but being able to personalize things ... The way Mixmax's UI is setup when it comes to individual outreach, I think, is better than any other tool I've seen. I've tried a host of them, and being able to personalize on that front and also sending templates, sharing templates, seeing how people are behaving on the team as well, it's just great from, not even just a sales perspective but also just managing customer relationships and things like that. Yeah, that's so great to hear, and that's actually one of the core things we're here to fix, as well, and it's kind of funny. If you think about developer workflow or even how you work within a team, you typically have a lot of transparency on what everyone on the team is doing, especially as a developer, if you're using GitHub, which most of us are, but then it's kind of weird, because in non-engineering roles, typically it's really hard to understand what other people are doing on the team. With a lot of the analytics and sharing features that we have, within your team you get full visibility on who's talking to who and what the state of different conversations are. Awesome. How much does Mixmax cost? It depends a little bit on your needs, but everything from 9 to 65 per month. Got it, okay, and how many customers do you have? Tell us about any numbers that you can share around the business. Yeah. I'm excited to share that we have more than 5,000 customers growing at a really, really healthy rate, north of 20%, so we're really excited about that, and it's kind of happened on its own, actually. We just brought in someone to help us on the sales side a couple of months ago, but apart from that, it's all been self-served, which we're really excited about. I don't even know how I heard about you guys, but I'm just a customer, so whatever you guys did ... I guess I should ask, how did you go about acquiring your first, let's say, hundred paying customers? Great question. We had, early on ... I think we're big believers in the adage, "You should be embarrassed of your first release," so we had a closed beta for a couple of months and then our official launch was on Product Hunt, kind of, before Product Hunt was a thing, and the only reason we heard about Product Hunt is because we met someone who worked there at some dinner who was also trying to get Product Hunt off the ground back in the day. This was, roughly, almost two years ago, actually, so I think that helped us in our launch, because it got us in with kind of an early adopter tech-savvy community that might be more forgiving of quirks in the early versions of product. Got it, and the 5,000 customers you have today, are these all paying? Those are customers, not necessarily users, because there is a free plan of Mixmax, as well. I'm looking at this ... You guys are charging anywhere from nine bucks to 65 a month. What's, like, the average? That will actually depend a lot on the type of user you have, but, kind of, on average, it's 25, $30 per customer. Got it, okay. People can extrapolate those numbers out to figure out your MRR numbers, roughly in those ranges. In terms of customer acquisition nowadays, what's working for you now? For us, actually, it's still largely based on word of mouth and how the product works. What we see is someone starts using it in a company and then it gets shared within the pod that you sit with, and then it very much grows from there. That's actually the biggest growth driver for us. I wish I had some smart nugget to share with fellow entrepreneurs about, "This is how you should grow." I guess we've just been incredibly product-focused, so a lot of low-hanging fruit for us to chew off on the marketing side. Great. Sounds like you have a salesperson right now. Do you have anybody handling marketing? We do, someone who joined six weeks ago. Oh, wow. Okay, cool. That's exciting. Great, and this is all in SF? This is in SF. For engineering roles, we're able to do remotes, as well. Cool, makes sense. All right, awesome. Tell us about one big struggle you faced while growing Mixmax. Wow. The interesting thing is, I think, as a startup you have ups and downs daily, and there's almost daily a new, unanticipated struggle, and that, I think, is just part of the joy of doing a startup, and even just working at a startup. I guess a bigger overall goal of something that's really important for us, since we're growing the team so fast, is a couple of things that are really at the top of mind for us, like, A, how do we grow the team fast enough with incredible people? A litmus test we have for growing the team, as this might sound a little bit freaky, is, could we work with this person for the rest of our lives? That's just a litmus test in terms of being really excited about working with someone, so I think growing the team with the right people is a constant challenge, struggle, that every startup has. Totally important, and totally agree with that. It's interesting, people have, there's the beer test, and it evolves into the barbecue test, too, so those are the two tests, but I think the "rest of your life" thing really causes you to think about it at a much deeper level. When you think about that, what traits are you looking for to consider ... You're basically deciding if you want to marry this person, right? Yeah, I guess. One thing, I think, that's really interesting, is you mentioned beer and barbecue tests. The beer and barbecue test has, kind of, been legion in the startup world. I think we're a little bit ... We don't really buy into that philosophically. The way we think about bringing new people on is, "Does this person add something really unique to the team?" It's more about, "How does this people contribute and expand the culture of the company," not, "Does this person necessarily 'fit in' with the existing culture?" I think that's a little bit of an important mindset difference. Sorry, I realize I probably didn't answer your question precisely. No no no, it's totally fine. I think what you're saying is you're looking for people that bring a unique perspective or add a unique value to the company, right? Yep, and then apart from that, I think there's an overall criteria or characteristics we look for in teammates. A big one, obviously, at a startup is this overall thing of being really ambitious, self-directed, independent, having a lot of drive, because you just need to jump on things and create outcomes for customers. Then from there, there are a lot of other values we look for in teammates, like really good communication skills, being a really considerate individual, being creative. Those are some other characteristics. Awesome. Speaking of being creative, you guys are constantly layering on newer features. How are you prioritizing these different features, because I'm assuming you guys have a lot to go through? To speak on just a high level, there's one or two things that it seems we do uniquely. First of all, for product prioritization, and I say this as a former product manager, it's really an art. There a couple of different inputs to that. One's the vision for the company. For us, it's becoming the platform for all of your external conversations. Your vision guides you, then of course, we get a ton of input from our customer community and our user community which is awesome. Often with that input, you have to understand, you have to listen through the lines and understand what are they actually trying to achieve, because often people will articulate requests in terms of a specific feature request, but they might actually be trying to achieve something different. We have a lot of internal ideas and input that comes up as we use the product ourselves, and as we build it, so those are, I think, three different angles that help guide the roadmap. A very concrete, tactical thing that we do, and I'm curious how other companies do this, when we get feature requests or when we understand that a customer is trying to do something and the product doesn't really do it today, we typically file an Asana task, or when we have a bug on something, as well, we'll file an Asana task and we'll actually document who the customer is or what the domain is that's asking for this particular feature or help with this particular issue. What's nice is, then, when we actually ship the feature, we reach out to them individually, or rather, with Mixmax sequences, and we say, "Hey, you know that thing you asked for last week? Well, now it's actually live in the product and here it is." It's just a really nice way to engage the community, and for us, a pretty lightweight way. Interested, okay. I love it. Is there one specific tool that you use to manage your product roadmaps? You have Asana. It sounds like it's good for project management. Is there anything else that comes to mind? Not really. To be honest, I think we're a little bit old school there. We're fans of ... We have, internally, a product vision doc for 2017 that we refresh on a somewhat regular basis. We have a short-term products roadmap doc. Actually, Google Docs, so we're probably a little bit old school in that regard, then we have the very sophisticated users of Asana, which we use as both a task manager and a bug tracker. Cool, love it. What's one big change you made in the last year that has impacted you or your business in a big way? Great question. One thing immediately comes to mind, because this person had his first year anniversary recently. We used to be an entirely San Francisco based team. Now, actually, we're a distributed team, so we have a couple people who don't work in the San Francisco office. We have someone in Michigan, someone in Mexico and someone in Australia. Being a distributed team was one of the best decisions we ever made as a company, and we were really, really skeptical doing this at first, but the way it started out for us, was, we get a lot of inbound for people who want to work at Mixmax. Typically, as everyone knows with inbound, it's not ... You have to sift through to find the really high quality inbound that you get, but we got inbound from this one person on the team who was not based in the US, and we decided, "Hey, let's just check it out and see if it can actually work to be a distributed team." We interviewed with this person. He turned out to be incredibly awesome, and we brought him on, and it just worked great to be a distributed team. It brought all kinds of hygiene. It brought hygiene in terms of starting stand-ups on time. It brought hygiene in terms of documenting things properly in Google Docs or sharing information in Slack the right way, or better documentation is Asana or wherever it is, so just brought a lot of hygiene to the team, and then I think it's actually really fun to be a distributed team because it just brings more diversity and different points of view into the mix. You know what's interesting? When I was at Treehouse before, our team was 60% remote and I was one of the remoters, and I thought it was great. I like to work independently. I can figure out what I need to do, and then when I came into [inaudible 00:14:25] the mistake that I made was, most of our team was actually in-house, and I switched it to remote just like that, without even considering that some people couldn't work remotely. People have different personalities, right? What I found from an agency perspective, we had to switch it back to having ... At least the people that are doing the marketing work, is, for me, at least, I have to put them in an office environment where they can collaborate with each other, and they're doing the creative stuff, but I think if it's designers, developers, I think, generally, they can work well remotely. What's your take on that? Yeah, 100% agree, and I'm really looking forward to having, kind of, our current perspective on that challenge and be proven wrong, just like, initially we were really skeptical about the company being able to work productively as an in part distributed team, but yeah, I think there are certain roles that work much better distributed than others. Perhaps the other thing I think is a little bit under ... that people often don't talk about with remote work, it's really a matter, not just of their role, but of the personality of the person who works remote. Typically, and this I hear from other companies that have successful remote work programs, too, it's, people who work remote are typically a good couple of years out of college. They're typically a little bit more senior. Some of them have families. Everyone on the Mixmax team who works remote has actually worked remote for multiple years before, so they know it's a way that they're able to be really productive, and they have the right setup with the home office or an office away from home, or things like that. I wouldn't recommend, even for just engineering roles, people who have ... I think it's an acquired taste an acquired skill. That's a great way to put it. I totally agree with that. Also, at the same time, you can't hire interns that have never worked remotely, too. I think you got to look at the past, too, and if they've actually had success with it, so I totally agree with that. One last thing on that, Eric, actually, one thing that we do, and this was just someone who recommended we do it ... I think it was Automatic, the company behind WordPress which is highly distributed, and we took this from their playbook, which is, when someone joins who's going to be distributed, we bring them onsite for one to two weeks when they start, just so they can meet everyone else in the office and get properly onboarded. Typically, also, we do two team offsites a year when the entire team comes together. So smart. I know at Treehouse we did those offsites, but bringing them onboard for a week or maybe two weeks or so onsite, that's super smart. I'm going to steal that. Okay, cool. How old are you right now? 36, okay. What's one piece of advice you'd give to your 25 year old self? God, good question. Take more risk. I think when I was younger I was probably, might have been a little bit more ... Perhaps for lack of a better word, status-driven, or risk-averse, and I think it's because, when you're young, you don't have anything on your CV that's really strong, and then, at least ... Back then startups didn't exist, as a thing. They might have existed in San Francisco, but definitely not as a thing elsewhere. I think I was afraid of doing something that was a startup because it would look bad on my resume, and I think there's been a big sea change now where fortunately, unfortunately in San Francisco the climate is such that doing a startup is what you should do for your resume, because it's the best way to 10X your learning in a really short period of time. I'm happy that's the way the world works now because I think people have much better opportunities than they did when I was 25. What's one new tool that you've added, besides Mixmax, in the last year, that's added a lot of value? I think that might actually be a SAS analytics product called ProfitWell. When you're starting out a business as an entrepreneur, you're probably using Stripe for your billing, and very quickly you're like, "Hey, how much money am I actually making across different plans and what's my retention rate, et cetera?" ProfitWell was an incredibly slick way of just getting great visibility on that, and there are other products like that. There's a product called Baremetrics. They blog quite a bit about SAS metrics, and then as you get more sophisticated you probably want to switch to other products, like Recurly or Chargebee or Zora, or things like that. That was one product that was really helpful to us to get visibility in the business. Cool, and what's one must-read book you'd recommend to everyone? That's really easy. Sorry, this is not going to be tech-related at all. I would really recommend Mary Beard's SPQR. Mary Beard is a historian of antiquity in Oxford. She also has a number of YouTube shows. She's absolutely incredible and fun, and she's written a number of books, of which I've read all, and a great one to start with SPQR, which was, kind of, the shorthand name for the senate and the people of Rome, so it's a history about the Roman Republic, through to its demise as it turned into an empire, and it's eerily relevant in our days today, actually. Cool, and so what have you gotten from it? I think the joy of, for anyone who's into history, it just gives you a lot of perspective on your day to day, and what society is like day to day, so I guess this goes a little bit outside of the context of Mixmax or startups and business. We tend to think that everything we see is really new and unprecedented, and in some ways it is, but in, I would argue, most ways, people 2,000 years ago were tackling the exact same societal challenges and had similar political issues and debates that we're still struggling with today. What blog or publication do you tune into every day? It could be a podcast, too. Just one. That's actually going to be Twitter. Twitter has turned into my RSS feed. I don't actually have a particular one that I go to, but I use my Twitter feed for that purpose. Same here, because it's so well-filtered. Yeah, somehow it just got incredibly relevant. Totally. Cool, man. Olof, this has been great. What's the best way for people to find you online? Probably the best way is to follow us on Twitter, speaking of, so @mixmax, and you can get in touch with me on @olofster, and also, if you're listening and interested in Mixmax's business, interested in what we can do for your sales automation, or putting your outreach on autopilot or just interested in working with us, you can send me a note to [email protected] It's not spelled like the snowman in Frozen. All right, cool. Olof, thanks so much for doing this. Thanks so much, Eric. That was really fun. Thanks for listening to this episode of Growth Everywhere. If you loved what you heard, be sure to head back to growtheverywhere.com for today's show notes and a ton of additional resources, but before you go, hit the subscribe button to avoid missing out on next week's value-packed interview. Enjoy the rest of your week and remember to take action and continue growing.